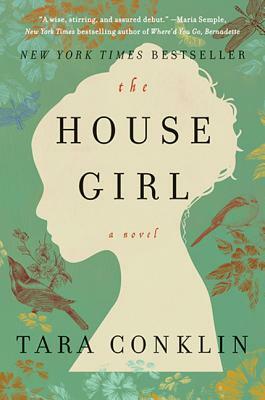 As a servant in the Bell’s home Josephine is literally “The House Girl.”But how does this title also apply to Lina’s character?What is the significance of Lina leaving her father’s house at the close of the story? Jasper tells Lina “anything can be art…if you do it well enough, if you love it.”Do you agree?What do you think Jasper means when he says “well enough?”How could this phrasing be problematic for a workaholic like Lina? The definition of “family” is unclear in this story:Lina’s mother is absent for all of her life, Josephine’s son is fathered by her married master.As Lina reflects on her mother’s artwork she wonders whether you can create family connections: “What is blood and what is decision?” What is your response? Separated by more than two centuries, Lina and Josephine’s characters never meet, but Conklin’s narrator tells this story through each of their perspectives.What similarities do you find between these two women?What would each character be able to teach the other? On an empty page in her favorite book, Grace Sparrow writes “who is free?”We know that Josephine, Lottie and the others at the Bell plantation are literally enslaved.But who else experiences a lack of freedom in this story?Do you think these characters achieve freedom by the close of the novel? Lu Anne Bell’s relationship to Josephine is intense.She allows this slave, who gave birth to a boy fathered by her own husband, to remain in their home.She shares the most intimate moments of vulnerability with her when her illness is at its worst.But how does Josephine feel towards Lu Anne?How does she perceive her role in Lu Anne’s life? Taking us back and forth between Josephine and Lina’s worlds, the narrator gives us an intimate look into the lives of both women.But Conklin also introduces Caleb Harper and Dorothea Rounds as additional narrators, speaking through their letters.What did their narrations add to the story?How did they change your understanding of Josephine and others living and working in the Bell’s community? Dorothea takes a risk telling Samuel about her work with her father in the Underground Railroad, only to have Samuel report them and watch as their barn and livelihood burned to the ground.Similarly, Josephine trusts Nathan with her intention to escape and Lina trusts Garrison with her ideas about the reparations case.How do you establish trust with a friend or family member?How do you identify certain people as those in whom you can confide? At the close of the story Lina quits her job and announces to Oscar that she will move out of his home.Where does she find the resolve to make these two significant decisions?So little time has passed since she told Jasper that “not knowing” what her future held “would make [her ] crazy.” What has changed that Lina now feels bold enough to take such swift and final action? Josephine “keeps” her memories in Mr. Jefferson’s chest of drawers.How is this similar to Oscar’s paintings of Grace?How do these characters confront the loss and pain they’ve experienced? How do they hide things away? Jasper is humiliated when Dan and Garrison tell him that he is too white to be the lead plaintiff in the reparations case and Lina is shocked to see him sent away.What does race mean to the men at Clifton & Harp?How does it mean something different to Lina and Jasper? Josephine is shocked to learn that the son she gave birth to at age fourteen survived and lives on a nearby farm.But even with this knowledge she decides to run alone.What do you make of this decision? Did she make this choice out of selfishness, a mother’s love or something else entirely? In the final pages of the novel, Lina decides to call her mother, asking Jasper to dial the phone number.What do you think Lina will say?Is she ready to build a relationship?Has she forgiven her mother for leaving? Many people ask Lina why she has chosen to become a lawyer.Does she ever give a satisfying answer?Lina’s law professor had taught her that the “law is the bastion of reason…there is no place for feeling.”Why does a career like this appeal to Lina, the artist’s daughter?How does this appeal wane throughout the story? Mr. Dresser says that the reparations lawsuit is worth $6.2 billion, but is the money the most important thing to him?What does the reparations case mean for Dan?What does it mean for Lina?